High Level Climate Change champion Inia Seruiratu says the Talanoa Concept is a success. He made the statement while speaking at the Conference of Parties 24 in Poland. Seruiratu says the Talanoa concept should be embraced by member countries as it brings more inclusiveness in dealing with climate change. Seruiratu says the idea behind the concept is bringing more partnership and at the same time taking ownership of how to solve the issue. 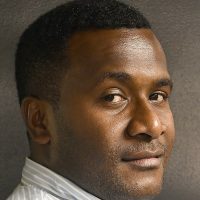 Seruiratu says the Talanoa concept has created an environment of discussing Climate change issues in a free and friendly manner.